Automobile SEO services are significantly different than for auto parts. 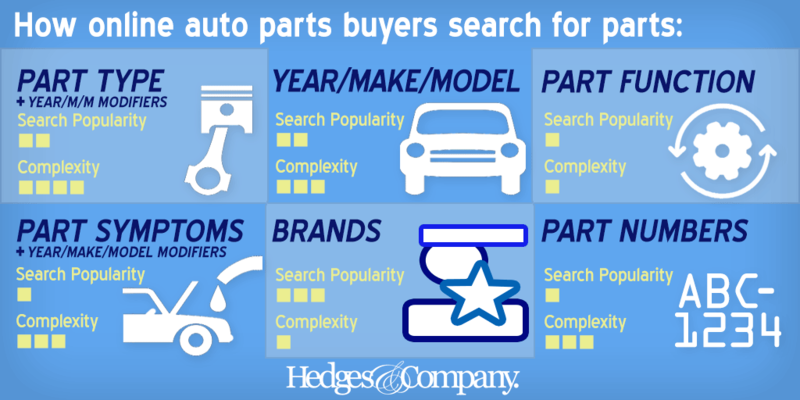 Shoppers search for parts differently than they search for automobiles. “Front of the house” marketing uses different search terms and a different path to purchase than “back of the house” marketing. Automobile SEO services for OEM replacement parts is different than marketing aftermarket performance parts and accessories, too. 6). By auto part numbers. Automobile dealers selling parts online need to be aware that selling car parts online, and marketing the dealership online, are two completely different things. 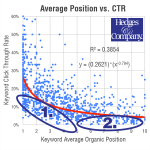 This article shows important reasons why pay per click (PPC) search and search engine optimization (auto parts SEO) for OEM replacement parts is unique. 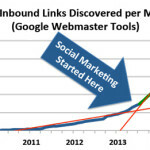 It also explains why it requires a different skill set from your digital automotive marketing agency. 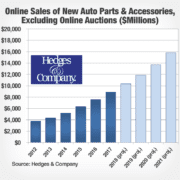 More auto dealers find selling car parts online an attractive way to grow sales at the automobile dealership. Online parts sales opens up the entire world as a marketplace and the profit margins are attractive, too. According to the National Automobile Dealers Association (NADA), dealership profits from selling new cars has been dropping, while profits from fixed operations including parts sales are growing. Google Partners recently quoted NADA that new car sales have a profit margin of 6%-8%, while car parts has an average profit margin of 20%-30%. Consumers search for OEM car parts in a few unique ways, which is completely different than the search process for buying a new or used car or truck. This is just as true for OEM replacement parts as it is for aftermarket parts. Each of these search patterns are unique and complex, and in fact, we’ve made a lot of discoveries over the years just on how consumers search using OEM part numbers. When you start looking at part types, symptoms, etc. it gets even more complicated. It’s important to show up for these search types. 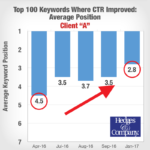 Remember this when setting up a marketing campaign, whether you’re focused on paid search (PPC) or search engine optimization (SEO). 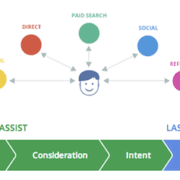 When working with an automotive SEO agency – whether it’s us, or any other digital automotive agency – have the agency explain their approach to these search types to you. Also have them explain if they manage Google Merchant Center feeds for clients and how their approach to Google Shopping ads fits with these various types of searches. Puzzled by automotive SEO services options? We’re the only Premier Google Partner agency dedicated to OEM and aftermarket performance parts & accessories. We are proud to say we’re a Premier Google Partner agency, one of only 2,000 worldwide and the first and only Premier Google Partner dedicated to both the OEM and aftermarket auto parts business. 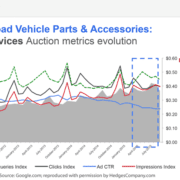 There are several great Premier Google Partner agencies serving auto dealerships, but they don’t specialize in car parts ecommerce sites. What’s the big deal? Premier Google Partners not only have to qualify by meeting criteria for best practice and customer service, they (we) have access to market research, technical help and new beta advertising programs from Google. We suggest when speaking to any auto parts SEO company or PPC company, ask if they’re a Premier Google Partner and ask for examples of how that can help you (yes, SEO is different from PPC but being a Premier Google Partner is a good indication a company is legit). We treat data, analytics and market research very seriously. In fact, we consider market research to be our foundation. 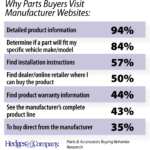 Since we started Hedges & Company in 2004, we’ve surveyed literally hundreds of thousands of consumers to find out why and how they shop for and buy car parts and truck parts online. Because we have this analytical and fact-based approach, we can usually hit the ground running with new accounts. We also use this to create custom campaigns for clients because in the auto parts business, “cookie cutter” accounts just don’t work. Consumers search for Honda OEM replacement parts differently than they do for GM or Ford parts. We have a lot of market research on our blog, feel free to look around while you’re here! When considering any agency, ask about other marketing services such as email. We’re a full-service email service provider (ESP) with a completely white-label solution. In fact, we’ve delivered as many as 100 million emails in a single year! We also provide prospect/conquest email marketing, postal mailing lists pulled from a masterfile of over 170 million vehicle owners, all categorized by year/make/model, and we also do Vehicles in Operation (VIO) analysis. Finally, please look over our digital marketing services here, and if you have any questions, let’s talk!